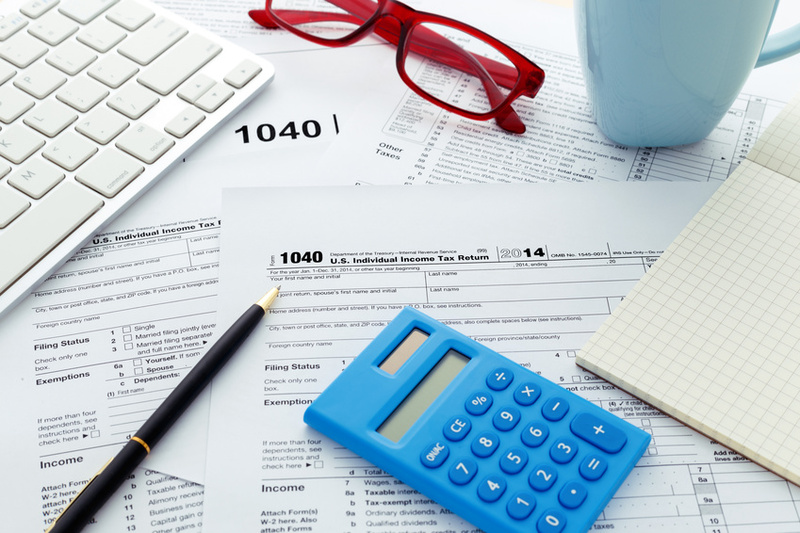 Tax Day is next week and as you send in your 2018 tax forms, you might be surprised to learn that the nation will still be working to pay this year’s taxes. Every year the Tax Foundation calculates Tax Freedom Day®, which determines the day the country has earned enough money collectively to pay its total tax bill. The calculation considers all federal, state, and local taxes and divides them by the nation’s income. For 2019, Tax Freedom Day falls on April 16th. So, the average taxpayer will spend 106 days working to pay their taxes. In another calculation, the Tax Foundation incorporates the federal deficit. When that is included, we will have to work another 22 days; until May 8th, to reach Tax Freedom Day. The Foundation figures that Americans will spend more on taxes in 2019 than on food, clothing and housing combined. Shareholders of Aquila Tax-Free Fund of Colorado are cordially invited to attend their 32nd annual shareholder meeting Thursday, May 16, 2019 at 2:00 p.m. at the Wellshire Event Center, Cambridge Room, 3333 S. Colorado Blvd., Denver, Colorado. Light refreshments will be served prior to the meeting. Attendees will have the opportunity to visit with Fund Executives, Trustees, the Portfolio Manager and hear from our guest speaker, Dr. Angie Paccione, Executive Director of the Colorado Department of Higher Education. 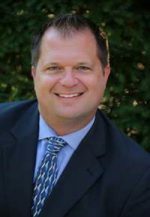 Dr. Paccione was appointed as Executive Director and unanimously confirmed by the Senate Education Committee in January, 2019. 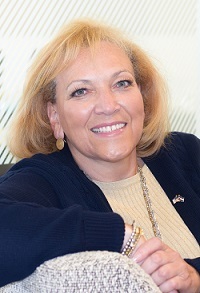 She has more than 20 years of experience in secondary and postsecondary education, has co-authored two books on leadership, and was elected to two terms in the Colorado House of Representatives, where she served as the house majority caucus chair. Dr. Paccione will speak about the Colorado Department of Higher Education’s goals and accomplishments. We look forward to seeing you on May 16th. After almost a decade of extremely accommodative monetary policy from the Federal Reserve, with a zero-bound Fed Funds target rate, the Fed began increasing rates in December of 2015, and since then, rates have increased 10 times by a total of 225 basis points. Fed Chair Powell indicated after the March Federal Open Market Committee meeting that we will not see additional rate increases in 2019, but understanding interest rate risk remains an important aspect of investing in bond funds. A common misconception of investing in bond funds is that when interest rates rise, bonds fall out of favor. While the inverse relationship between interest rates and bond prices does exist, there are many factors to consider when making a decision about current and future bond holdings – and whether to hold individual bonds or invest in a bond mutual fund. A bond fund’s duration, specifically modified duration, is an indicator of how sensitive the net asset value is to a change in interest rates. Duration provides investors with another aspect of comparison between bonds with different maturities and coupon rates. Simply stated, for every 1% change in interest rates, positive or negative, the price of a bond fund will inversely decline or increase by its modified duration. For example, if a fund’s modified duration is 5 years, the net asset value could be expected to rise 5% for every 1% decline in interest rates, and fall by 5% for every 1% increase in interest rates. Bond funds with longer average maturities and lower average coupons have a longer duration, and therefore generally experience a higher degree of price fluctuation, while bond funds with shorter average maturities and higher average coupons have a shorter duration and generally experience a lesser degree of price fluctuation. The good news is that performance of bond funds is not solely tied to the incremental changes in interest rates. Bond fund total returns are generated from two sources; interest payments on bonds (paid as fund distributions) and changes in bond prices. While interest rates rise, active portfolio managers have opportunities to purchase bonds at higher yields, and over time, a portfolio’s income may off-set a decline in the value of individual bonds, mitigating the impact of that decline on a Fund’s total return. Since its inception in 1980, approximately 98.7% of the Bloomberg Barclays Municipal Bond Index total return has been generated by income. Periods of rising rates can be challenging for investors who purchase individual bonds or funds aligned with a bond index. Active bond fund managers have the ability to take strategic steps in an effort to mitigate, to some degree, the impact of market volatility. With the ability to actively manage fund holdings over time, these managers may implement a number of strategies in order to adjust fund holdings based on market expectations. Fund holdings may be altered by quality rating in an effort to manage credit risk – a risk which may increase along with rising rates. Holdings may also be altered by maturity date and coupon, thereby adjusting portfolio duration, or the sensitivity of the portfolio to movements in rates. Reducing portfolio duration would reduce sensitivity to a change in rates. Shareholders of Aquila Tax-Free Trust of Oregon are cordially invited to attend their annual shareholder meeting Wednesday, April 24th, 2019 at 11:00 a.m. at the Oregon Convention Center, Meeting Rooms F150-151, 777 NE Martin Luther King Jr. Blvd., Portland, Oregon. Light refreshments will be served prior to the meeting and parking will be validated at the end of the meeting. Attendees will have the opportunity to visit with Fund Executives, Trustees, the Portfolio Manager and hear renowned Oregon economist and Trustee, John Mitchell, speak about the Oregon and national economy. Mr. Mitchell is principal of M & H Economic Consultants of Portland. He is a past chairman of the Oregon Council of Economic Advisors, and former chief economist of U.S. Bancorp. Please plan to attend. We look forward to seeing you on April 24th. 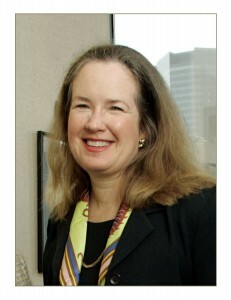 Lacy Herrmann, Aquila’s founder, was one of the earlier pioneers in money market funds beginning in the mid-1970s. By the early 1980s, a handful of state-specific municipal bond mutual funds were being offered in states with large populations and higher tax rates, such as California, New York and Massachusetts. Mr. Herrmann was intrigued with the concept of launching similar funds in other states. Many Americans are anxious to find out what the Tax Cuts and Jobs Act of 2017 (TCJA) means for their 2018 filings, and early returns being filed now are giving us some clues. It appears that quite a few taxpayers will either be getting smaller refunds than last year, or may even be owing the government more money than they had in the past. Shareholders of Aquila Narragansett Tax-Free Income Fund are cordially invited to attend their annual shareholder meeting Tuesday, March 19, 2019 at 9:00 a.m. at the Rhode Island Convention Center, Room 556 A/B, One Sabin Street, Providence, Rhode Island. A buffet breakfast will be served prior to the meeting. Attendees will have the opportunity to visit with Fund Executives, Trustees, the Portfolio Manager and hear from the President and CEO of the Rhode Island Airport Corporation, Iftikhar Ahmad. In his role, Mr. Ahmad oversees all six airports in Rhode Island, including T. F. Green International Airport. The Rhode Island Airport Corporation has an annual economic impact of $2.6B with 22,443 direct and indirect jobs. Mr. Ahmad also serves as a United States’ civil aviation expert to the North Atlantic Treaty Organization (NATO) in an advisory capacity. Prior to Rhode Island, Mr. Ahmad served in various Director roles of several major airports, where he has coordinated approximately $5B worth of capital work in his career. This included New Orleans International Airport, where he was responsible for the additional of a new terminal. Mr. Ahmad has also overseen major capital programs at airports in Nashville and Houston. Please plan to attend. We look forward to seeing you on March 19. Shareholders of Aquila Churchill Tax-Free Fund of Kentucky are cordially invited to attend their annual shareholder meeting Wednesday, April 17, 2019 at 8:30 a.m. at The Olmsted, 3701 Frankfort Avenue, Louisville, Kentucky. A buffet breakfast will be served prior to the meeting. Attendees will have the opportunity to visit with Fund Executives, Trustees, the Portfolio Manager, and hear Ryan Barrow, Executive Director of the Kentucky Finance and Administration Cabinet, which is part of the Office of Financial Management. The Office is responsible for the investment and debt management functions of the Commonwealth, including conducting the state’s bond sales, which provide financing for major projects such as those in which your fund invests. Mr. Barrow was named one of 40 rising stars by Bond Buyer in 2016. Please plan to attend. We look forward to seeing you on April 17. Each of the municipal bond funds offered in the Aquila Group of Funds adheres to an investment strategy focused on investment grade bonds as a means of managing credit risk, and an intermediate average portfolio maturity as a means of managing interest rate risk. In keeping with our emphasis on high-quality holdings, the seven state-specific municipal bond funds offered by Aquila continue to have no Puerto Rico holdings. The commonwealth of Puerto Rico has been grappling with budgetary issues since 2014, which has generated attention in the municipal bond market, and in the media as the island territory has worked toward recovery over the past several years. In June of 2014, the Puerto Rico Governor signed the Puerto Rico Public Company Debt Enforcement and Recovery Act, which would enable public corporations (power and transportation agencies) to restructure their debt through a process similar to bankruptcy. Puerto Rico, like the states, cannot file for Chapter 9 federal bankruptcy protection. Response to the legislation was swift, and prices on certain Puerto Rico agency bonds dropped abruptly, and lawsuits were filed challenging the constitutionality of the legislation. 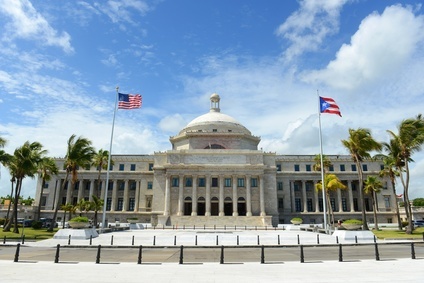 The US District Court of Puerto Rico found the recovery act unconstitutional, followed by the US Court of Appeals for the First Circuit, and in June of 2016, the Supreme Court ruled the legislation was impermissible. The Supreme Court voted 5-2, stating that the Commonwealth was not entitled to establish its own restructuring process, which is prohibited by the Bankruptcy Code.